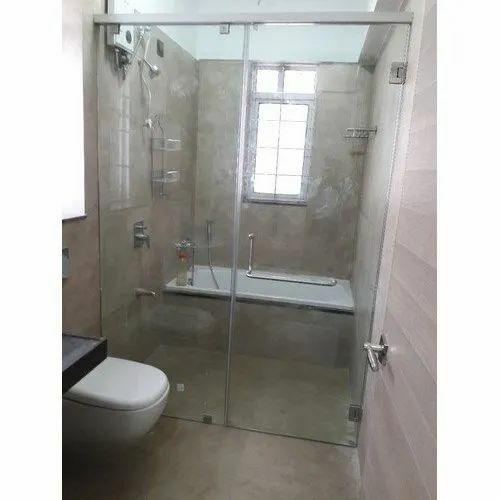 We are offering Steam Bathroom to our client. We Omega Steam Bath & Fabrication from 2007 manufacturing and trading of high-quality Steam Bath Equipment. Offered products range consists of Sauna Rooms, Water Fountain, and Water Curtain. These products are well known due to their high performance, low maintenance, strong construction, lightweight and long service life. Also, we are offering Lathe Machine and SS Tube Fabrication Job Work service to our valued clients. Our team has enormous knowledge in their respective sphere. In order to make sure hassle-free business procedures, we have accurately segregated our team into various sections handled by our talented personnel who assist us in delivering these steam bath equipment ranges on a timely basis. Also, we have set up a modern infrastructure that is equipped with modern machines. In addition to this, we have a well-equipped warehousing unit that helps us to keep our offered steam bath equipment in a safe environment. Apart from this, these equipment and services ranges are offered to the clients at very reasonable rates. Under the headship of our mentor Mr. Moses Christian Udaiyan, our organization is moving ahead in this cutting-edge competition. He, with his principled business policy, brilliant managerial skills, profound knowledge, and vast experience, help us to cater to the demands of customers.